This recipe is adopted from my all-time favorite, Clotide Dusoulier. Something about the ground almonds makes everyone rave, it's a great cake when you have a few pears leftover that need to be consumed. Mix everything together in a bowl, using your fingertips, until it becomes a well-mixed dough. Spray a pan with no-stick butter spray and then put the dough in, fitting it into the bottom of the pan and up the edges. Put in the fridge with plastic wrap for at least an hour. Pre-heat oven to 350 degrees F. Bake 20 minutes. Take out to cool. Mix everything except the almonds and pears in a bowl. 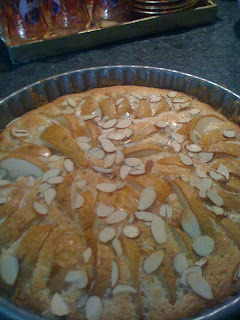 Pour into tart pan, arranging pear pieces on top. Put into oven at 350 degrees F for 25 minutes. 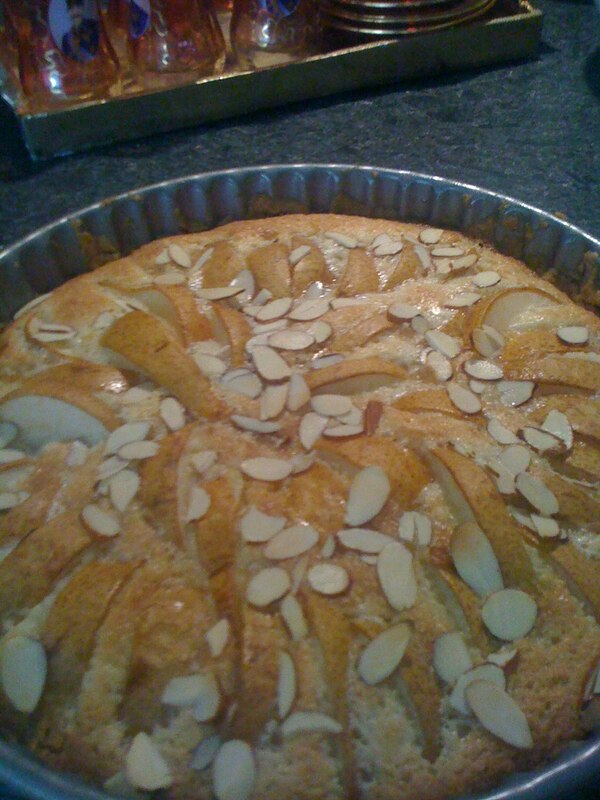 Take out, sprinkle almonds on top, put back into oven for 15 minutes. Anything with pears works for me.